Fresh Horses is a high energy show band that performs all the hits of Garth Brooks. Fresh Horses tours North America and has received excellent reviews along with a great following of fans. Les looks and sounds so much like Brooks that people comment that they forget they are watching a Tribute Act. Fresh Horses please crowds of all ages with their music and entertaining show. 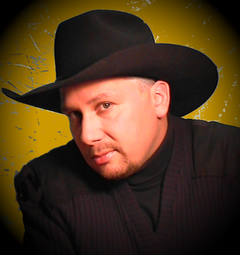 All music lovers can enjoy the songs of Garth Brooks as the music crosses all barriers. Fresh Horses is known for their professional attitude and excellent showmanship. They will leave you with a sense of “more than your moneys worth”. Fresh Horses will definitely be an asset to your line up of entertainment! To date the band has performed all over Canada and the United States and has gained the reputation of being the top Garth Brooks Tribute ever. The band has performed on City TV , appeared on NBC news and has opened up on stages in Kentucky and Texas for country legends like Chris LeDoux , Johnny Lee and Charlie Daniels. The band has played to casinos, rodeos, clubs and festivals delivering an energy charged show that has audiences wondering if they’re at the real thing. Les has found Garth’s music inspiring and believes in performing his show with 110% enthusiasm.